Dr. Trivedi is a board-certified general adult psychiatrist with special interest in cross-cultural psychiatry, mental illness with co-occurring substance use disorders and use of interventional psychiatry (ECT & TMS) in treatment-resistant psychiatric disorders. She earned her medical degree in India and her early psychiatric training was completed at Central Institute of Psychiatry, Ranchi, India. Dr. Trivedi completed her residency in Psychiatry at the University of Arizona. 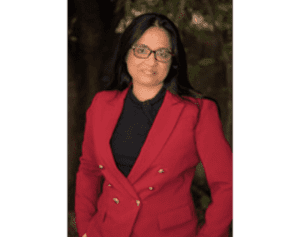 Being trained in India as well as in the United States gives her double distinction of having trained in two culturally and ethnically different societies. This gives her a unique ability to understand the meaning of culture and ethnicity difference in the contemporary world on mental health services. She believes in integrating the psychodynamic principles applicable to the patients with psychopharmacology in the practice of psychiatry for a better treatment outcome. She is also open to interventions such as ECT in treatment-resistant cases. Her warm, accepting approach is appreciated by many of her patients. 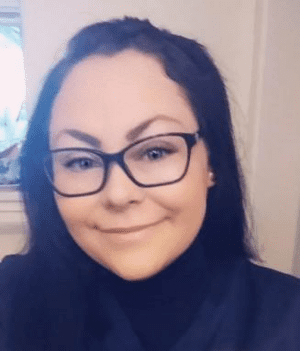 She is known for her excellent personal care and ability to establish a therapeutic relationship with her patients. She works closely with the patients and their families to develop the treatment plan that best meets their individual needs. 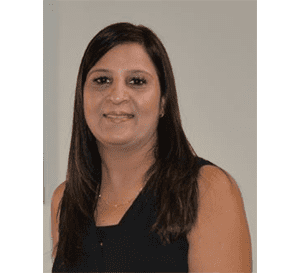 Sunita Saini is a family nurse practitioner with a background in primary care. She obtained her Bachelor of Science in Nursing from National University and then went on to earn a Master of Science in Nursing / Family Nurse Practitioner degree from Samuel Merritt University. She holds a board certification with the American Academy of Nurse Practitioners (AANP) as a nurse practitioner. Currently Sunita pursing her specialty in Psychiatric Mental Health Nurse Practitioner (PMHNP). Sunita has 8+ years working as a psychiatric nurse in an acute psychiatric unit with Dignity Healthcare. In her spare time, she enjoys traveling, cooking and watching movies. Sunita also enjoys gardening and spending time with her family. Danielle attended College at the California State University of Sacramento starting in 2012 and graduating in 2015. She Obtained an Associate’s Degree in Philosophy as well as a Bachelor’s degree in English. Danielle is currently working on her Master’s degree. Danielle has 13 years of medical back office experience. Danielle is a certified medical substance abuse technician, addiction treatment consultant, and certified in crisis prevention. Working all back-office positions in a hospital setting including the Emergency room, OB/ GYN, and Pediatrics, as well as experience in the medical office setting working in Family Medicine and OB/GYN offices. Danielle has four years of Medical Management experience and truly enjoys working in and around the Medical field.